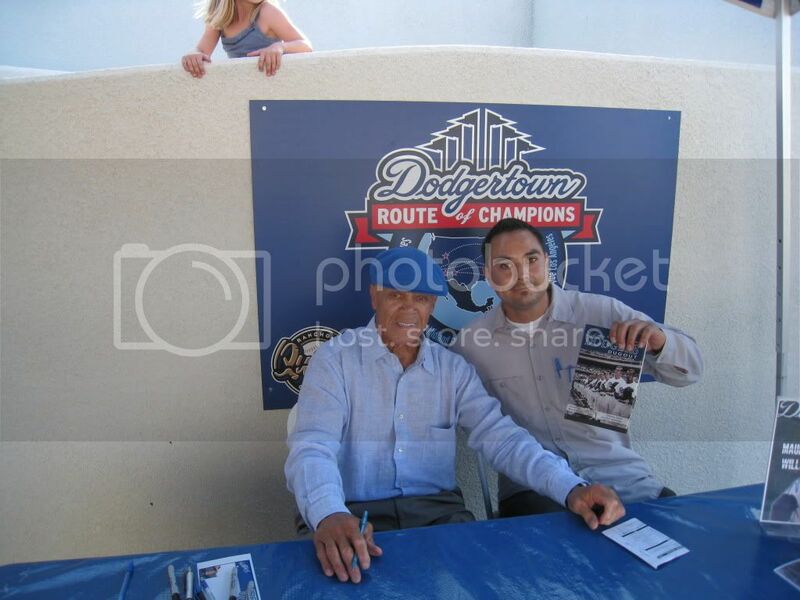 This past Sunday Dodger great Maury Wills made an appearance at the Epicenter in Rancho Cucamonga to sign autographs. Just like always, the autograph session took place during the Quakes game. I really had no business being there. 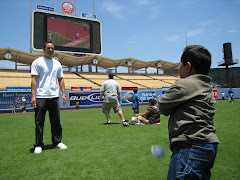 I attended a couple of Maury Wills appearances last year and other Maury Wills events even before I started this blog. I figured since it was in my area I would take advantage of it. When I arrived I noticed a decent turnout of fans already waiting in line. There were many familiar faces but I didn't feel like mingling. I baked all day in the hot sun at work so I wasn't in the best of moods. For a good portion of the line Maury signed every item that fans put in front of him. After a while Quakes staff wanted fans to limit their items down to one item since the line was moving very slow. People in line? I would guess around 50 people. Items per person? Multiple items since there was a chance to get back in line. City of the event? Rancho Cucamonga, CA. 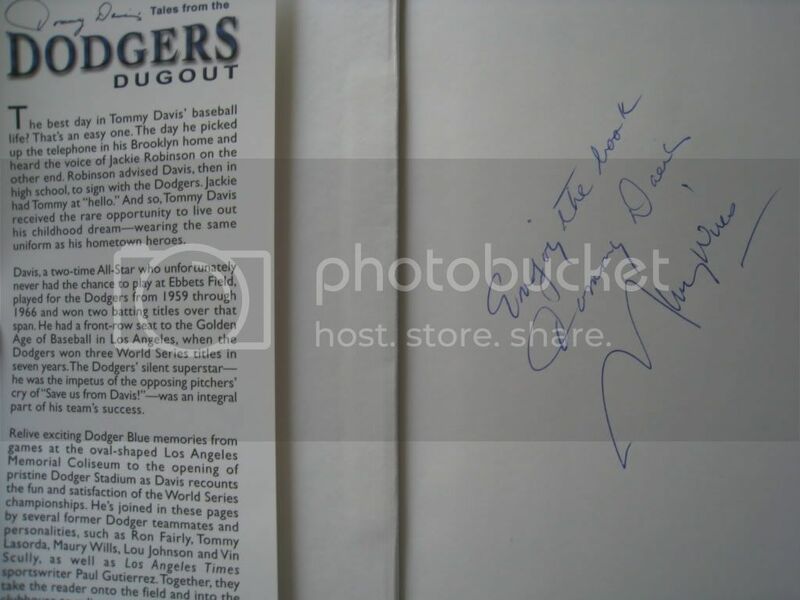 The only thing I could think of for Maury to sign for me was Tommy Davis' "Tales from the Dodgers Dugout". Maury did the forward on the book so it would make sense for him to also sign it. obligation and this is all I took to get signed. I guess It is what it is. Other posts that I have on Maury Wills are linked below.